My mom used to make this manja pongal during aadi velli kizhamai. 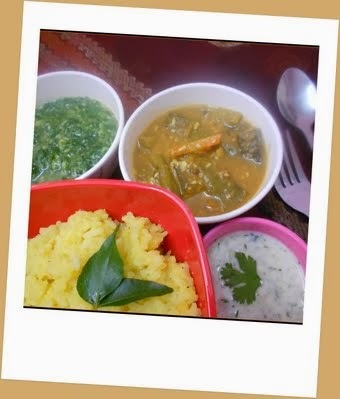 This pongal is so tasty and rich in proteins. 1) Pressure cook rice by adding 4 cups of water. 2) Mix toor dal and moong dal together and pressure cook them separately. 3) Mix rice and dals together and add salt and sesame oil. 4) Heat them in low flame for 5 mins and mix well. 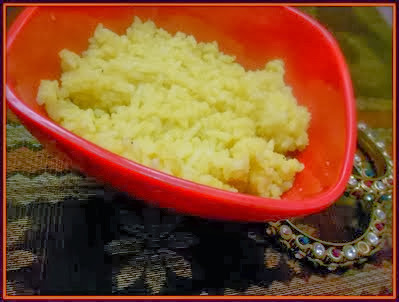 This pongal is cooked using raw rice, but I have used boiled rice in my recipe and it came out very well.